The Dental Schools Council is the representative body for dental schools across the UK and Ireland. 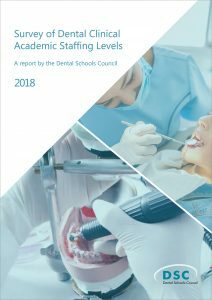 It is the authoritative voice of dental education in the UK and Ireland, engaging in representative and policy work on matters relating to dental education as a whole. The Dental Schools Council works to maintain and improve quality in education, clinical training and research.